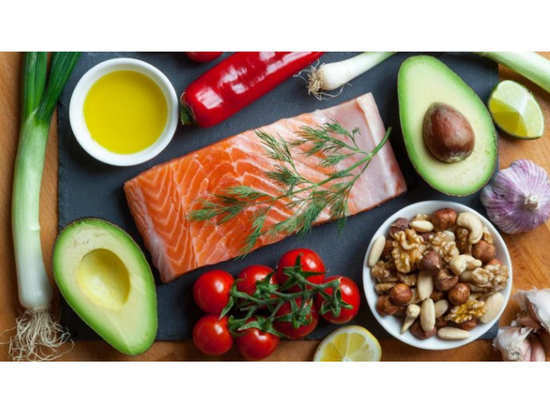 While some foods are really good for health, others can turn out to be rather dangerous which is why it is always advisable to consult a dietitian before opting for an over the top fad diet. - Poke is a dish that contains cubed raw fish atop a bowl of sushi rice. It happens to be a Hawaiian staple that has now taken over the world by storm and for good reason. Since it contains fish, this dish has a rich source of multiple vitamins as well as omega 3 fatty acids. It also contains iodine and tyrosine which are both important for thyroid function. - Turmeric: We're all aware of the various health and skincare benefits of turmeric and now that dietitians have given it their approval, there's no stopping this miracle ingredient. Full of antioxidants, turmeric contains a hoard of anti-inflammatory properties that can help relieve arthritis and can reduce the risk of developing Alzheimers. - Matcha: A form of green tea that is made with ground whole leaves that are mixed with water. It contains a lot more antioxidants than other teas and also contains caffeine which promotes alertness and L-Theanine which combats the negative effects of caffeine, so it also induces calmness and relaxation. - Juice cleanses: “Cleanses make big promises, but are not sustainable long term. They often consist of an all-liquid diet or an extremely low-calorie diet that does not provide us with the energy or nutrients our bodies require on a daily basis," said a registered dietitian. - Low-calorie ice creams: No matter how much these low-calorie ice creams advertise themselves to be healthy, honestly they don't taste half as good as regular ice creams do which is why most people end up overindulging in the real thing later on. So rather than eating something useless, it's best to just eat something natural and in limited quantities. - Agave: Agave might have a lower ranking on the glycemic index but it also happens to be extremely high in fructose. This means that when you consume Agave you're eating too much fructose which can be really bad for your liver. Now, that you're aware of what your options are, we suggest you choose wisely! 2Can retail therapy help people unleash their emotions? 4Want to stay hydrated this summer? Give popsicles a try! 6Puffy eyes and dark circles? Here's an eye cream you must use!